If you have a phone with Bluetooth connectivity, it would be easier for you to sometimes use this wireless protocol to send and receive files to and from your computer. For cases when you are in a hurry and you don’t have time to install the software that came with your phone, use Bluetooth to transfer files. 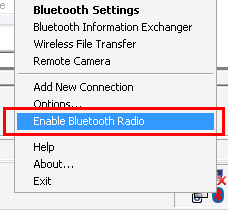 First locate the Bluetooth system tray icon at the lower part of your Windows screen. This should turn the Bluetooth wireless service on. You should also see the Bluetooth icon turn to white and blue (not red and blue) to indicate that the service is turned on. Once the steps above are completed, you may send files to your computer using your phone’s Bluetooth connection. In Nokia, for example, you need to select a file and then choose “Send via Bluetooth”. The list of Bluetooth recipients will appear on your phone’s screen. Choose the one that matches your computer’s name. Windows will prompt you to receive the file. 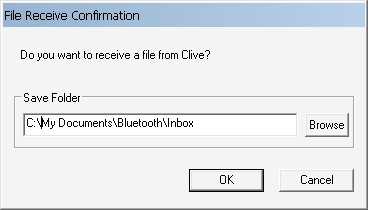 By default, files are saved on the My Documents > Bluetooth > Inbox folder. Click OK to receive the file. 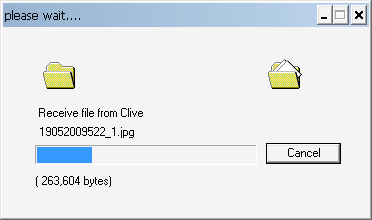 A window will appear showing the progress of the file transfer. Once received, it will be shown under the folders specified above. You can also send files to your cellphone – just right click a file and then choose “to Bluetooth”. Ben Carigtan shows you how it’s done.